Monkey and moose, llama and lion, animals of all kinds are fun to learn about and fun to play with. 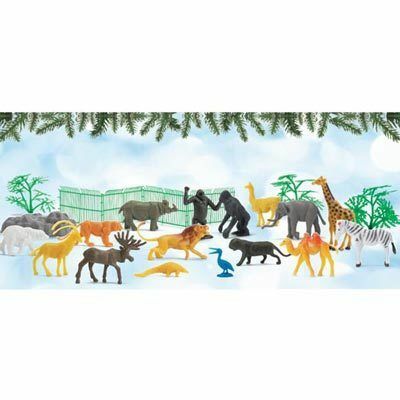 Kids can create different scenes and stories with sixteen Wild Animal Figures plus four 6"l fence sections, trees and rocks in tough, non-toxic plastic. Ages 4 and up. 25 piece set. Sizes from 1"h tiger to 5"h giraffe. Hurry! Quantities are limited!